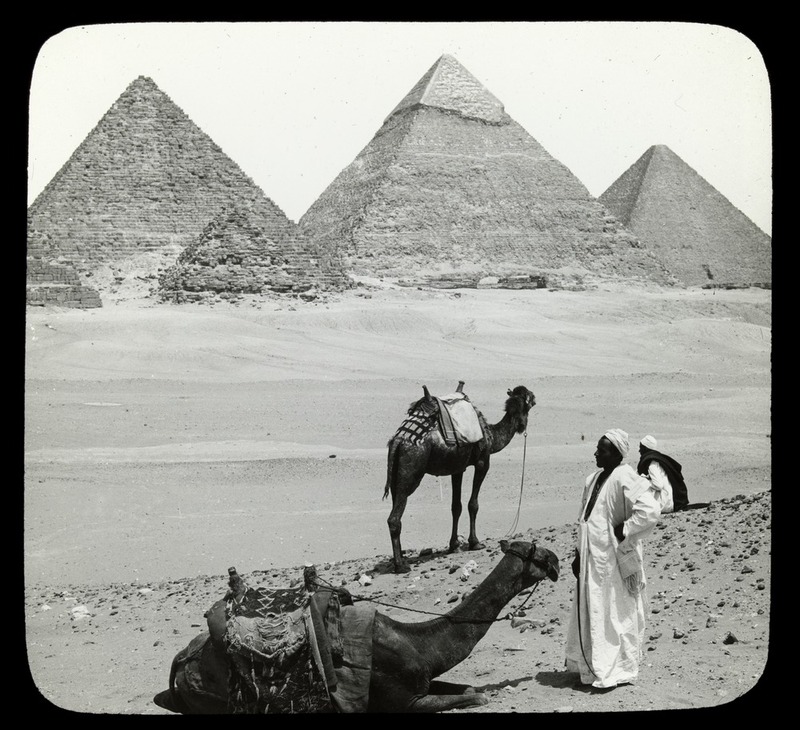 To celebrate World Tourism Day (27 September), we’re taking a trip around the globe with some amazing photographs, photo albums, diaries and posters from our collection. Enjoy! 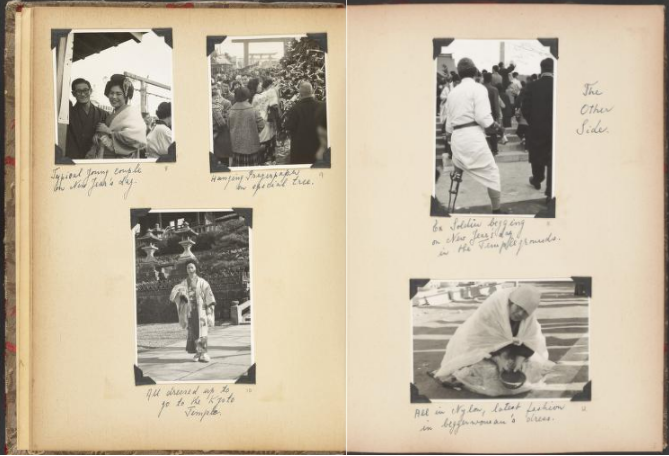 Much has changed since the Dutch-born photographer Ellen Brophy assembled her photo album ‘Memories of Japan’ in the early 1960s. Today, travel to Japan is relatively easy and cheap travel, and we share our memories with our loved ones (and strangers) instantaneously via social media. This contrast makes flicking through ‘Memories of Japan’ a very special and evocative experience. The book is beautifully bound in mauve silk decorated with cranes and cherry blossoms, and contains delicately composed black and white photographs of the Kobe-Osaka District of Japan. Brophy has annotated the photographs in her own hand, which draws attention to the very tactile nature of such an album – you can imagine a table strewn with images, and Brophy’s own hands selecting, ordering and sticking them to the page as she relives her journey. Other scraps are included – colourful papers and pictures collected along the way. As you spend time with each of the faces captured by Brophy, it’s striking to think how differently people respond to being photographed now. In the late 1950s and early 60s, it might have been an event to be photographed by a tourist as you worked in a market in a small Japanese town. But it’s hard to imagine anyone batting an eyelash in the same circumstances today. 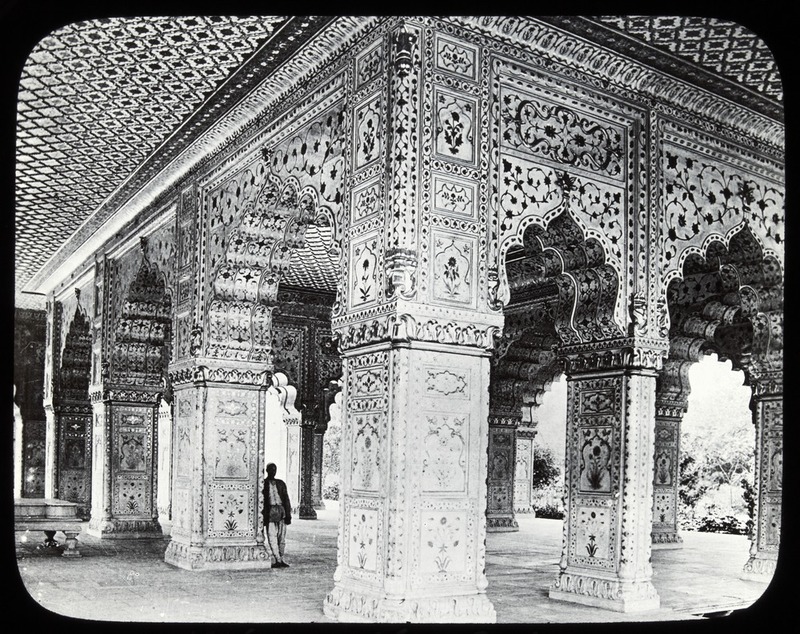 The Diwan-i-Khas, or Hall of private audiences, is in the Red Fort of Delhi. Built in 1639, the Diwan-i-Khas is where the Mughal emperor would receive courtiers and state guests. The structure is built from marble, inlaid with precious stones. The ceiling was once inlaid with gold and silver, but financial crises saw it removed and restored with wood. The Red Fort itself was the main residence of the Mughal dynasty’s emperors for close to 200 years (until 1857). In addition to being the political and ceremonial epicentre of the Mughal state, it also housed a number of museums. It was plundered during Nadir Shah’s invasion in 1747 and most of its precious marble statues were destroyed by the British following 1857’s Sepoy Mutiny. Today, the Red Fort is major tourist attraction and the host of the Indian Prime Minister’s Independence day speech. 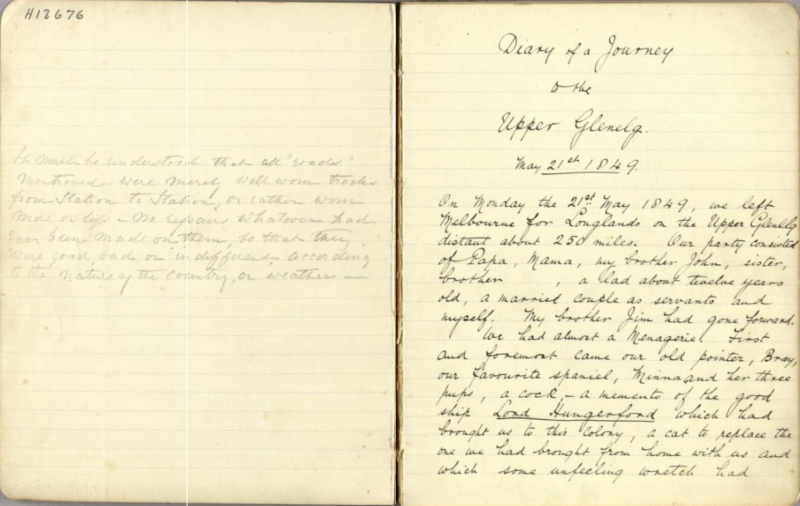 The Grampians/Gariwerd remains a very popular destination for local and international tourists, but where we just pack up the car and go, Eliza’s diary reveals all the grim realities of travel in colonial times. Want a snowy holiday? Antarctica will deliver. This photo is part of a collection compiled by John King Davis. Davis, born in England in 1884, was the chief officer of the S. Y. Nimrod in 1907, navigating for Ernest Shackleton’s British Antarctic Expedition of 1907–09. 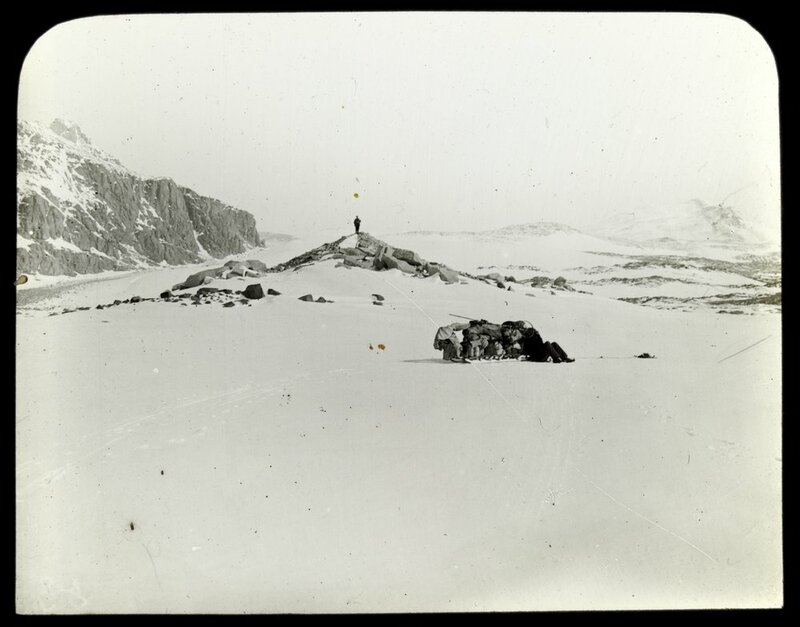 The expedition was the first of three led by Shackleton, with the goal of reaching the South Pole (which they didn’t accomplish). From 1901 – the year Australia was federated – until 1927, Melbourne was this country’s capital. In this period, Flinders Street Station was built, the first electric trams were introduced to the city and our very own domed La Trobe Reading Room was opened – and tourists flocked as our young city developed its architectural identity. 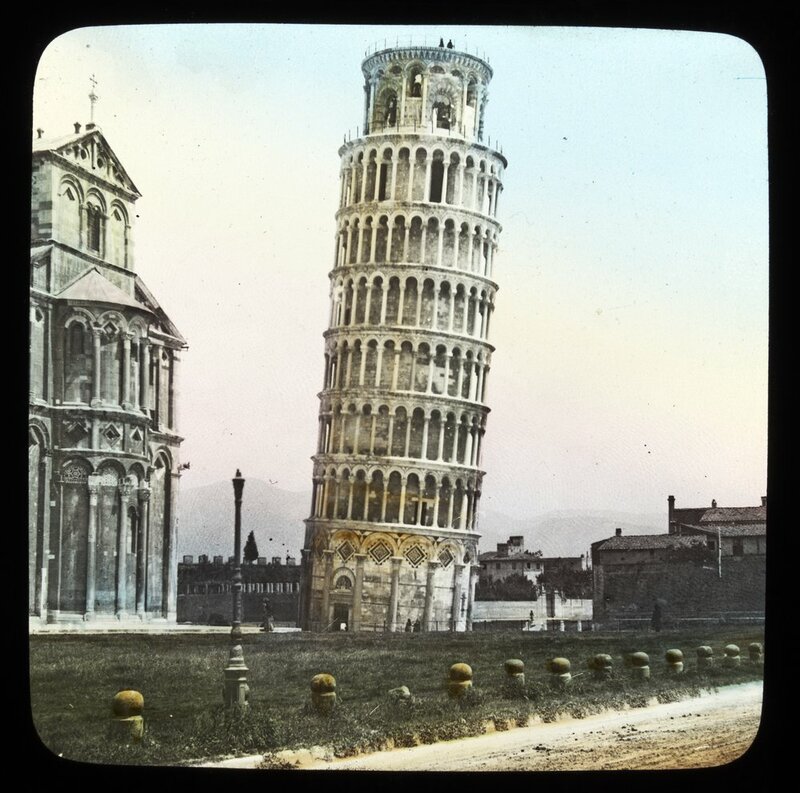 In this collection of Melbourne postcards from the early 20th Century, many of the landmarks that have come to define the city are captured – some familiar, some almost unrecognisable. The unpaved inner-city streets are busy with horse-drawn carts and trams, the shopfronts are ornate and the fashion on the street is dapper. At this time, postcards were often inscribed on the front rather than on the back, and many of those in our collection show this – short and sweet updates are squeezed into the margins, or just across the top of an image, with love from Melbourne. 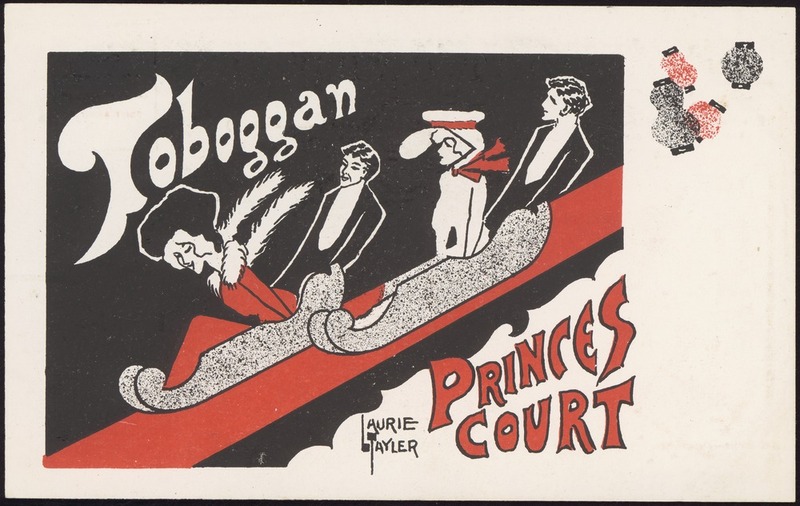 This post was written in conjunction with Sophie Allen, State Library Victoria’s copywriter, and with the help of Susan Long, Pictures Librarian, and Olga Tsara, Heritage Collections Librarian.